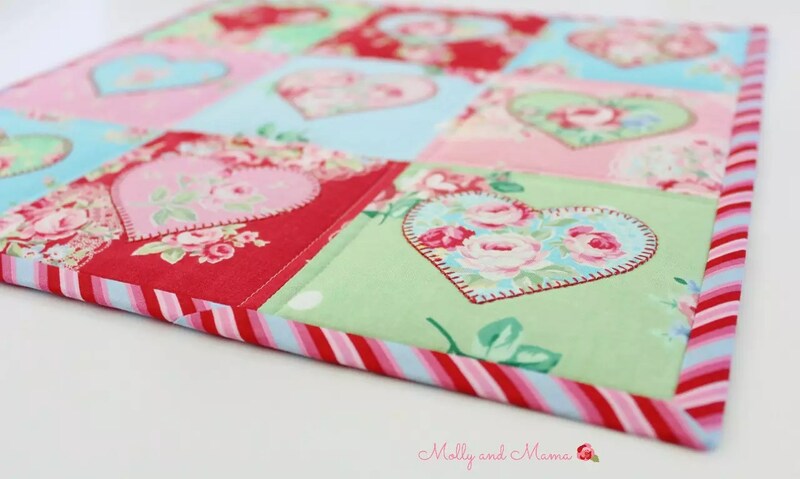 Valentine’s Day isn’t far away, so I wanted to share this cute little mini quilt I created with some sweet appliqué love hearts. It was quick and easy to sew, but looks so sweet. 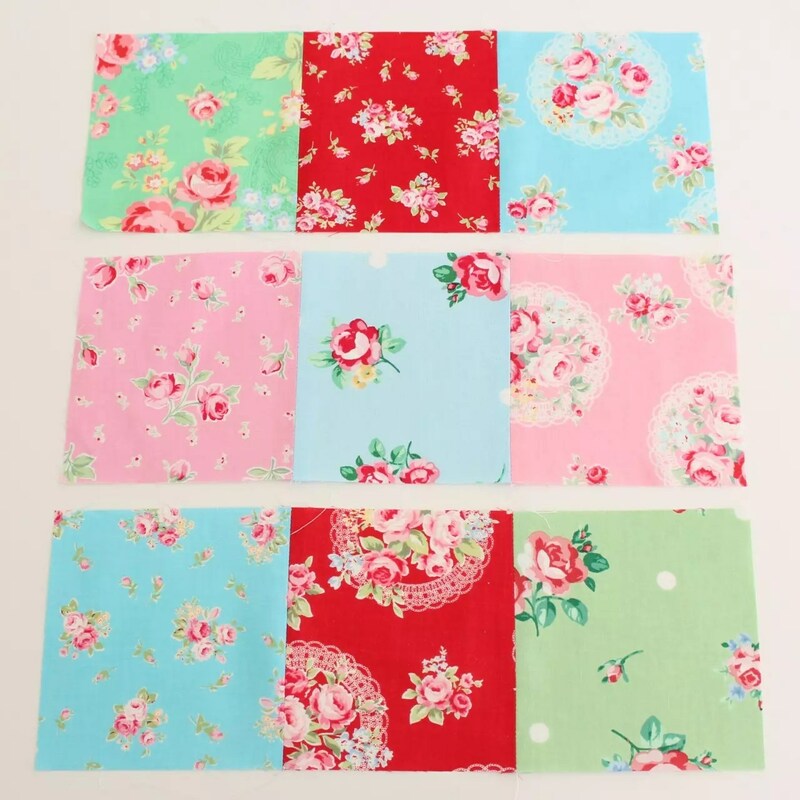 I have always had a thing for Lecien fabrics, especially the Flower Sugar ranges from recent years. 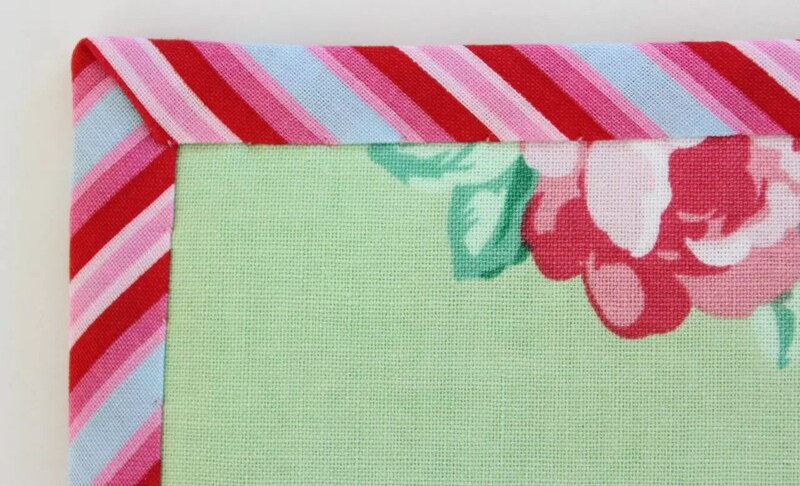 So I pulled some of the bright and pretty prints out of my scrap stash for this project. 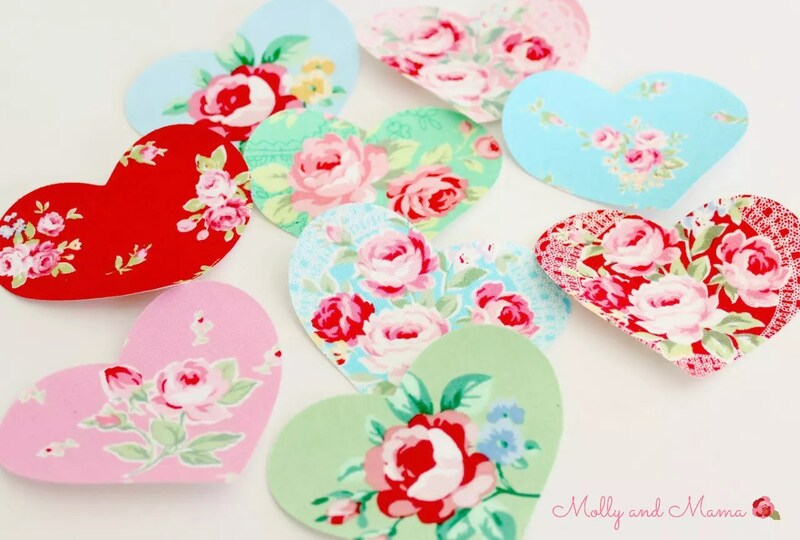 And got to work with my Sizzix Big Shot machine to cut out some hearts. 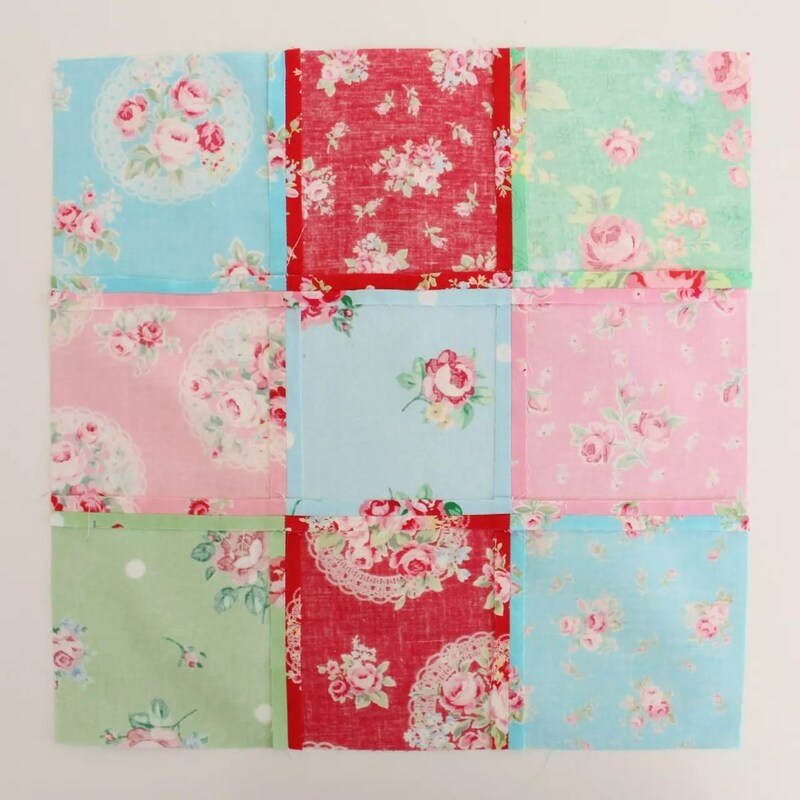 Read on to find out how simple it is to piece this mini quilt together. And if you like the pretty pin cushion in the images, you can make your own using the Miss Molly PDF pattern available in my store. 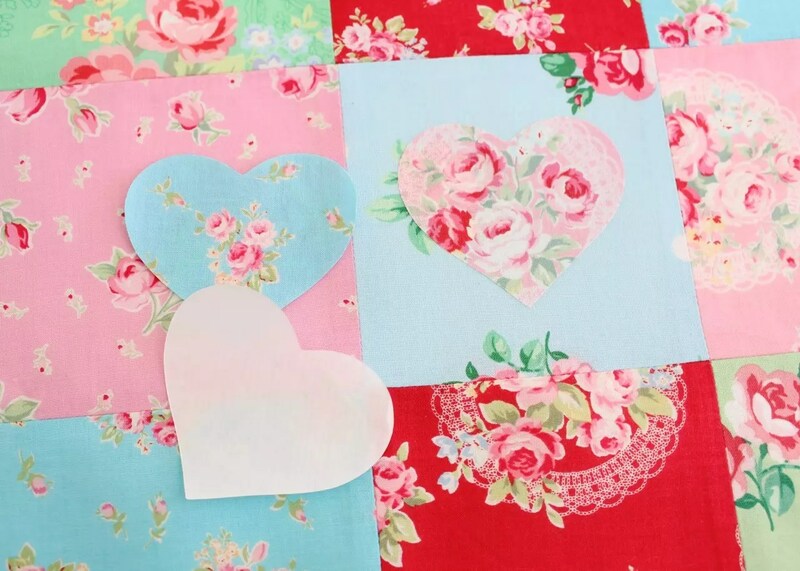 Tips: Use a walking foot on your machine for quilting and a clear based appliqué foot on your machine for the heart appliqué. Be sure to press each piece of fabric well before sewing. Appliqué Tips: Head to my detailed tutorial for more help and tips for raw edge fabric appliqué. 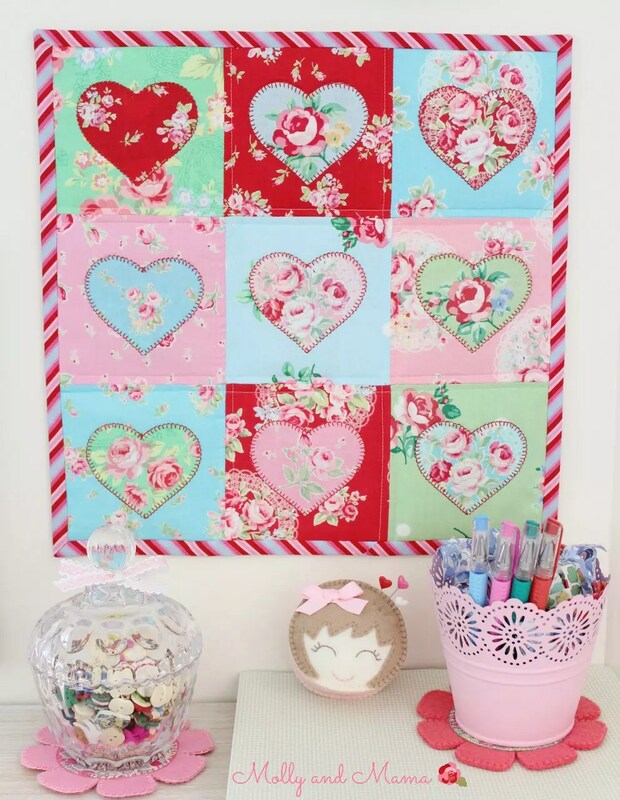 Create nine love hearts for appliqué. If you’re using the Sizzix big shot machine, use a warm iron to fuse nine 4″ squares of vliesofix onto the wrong side of the nine 4″ squares of fabric. 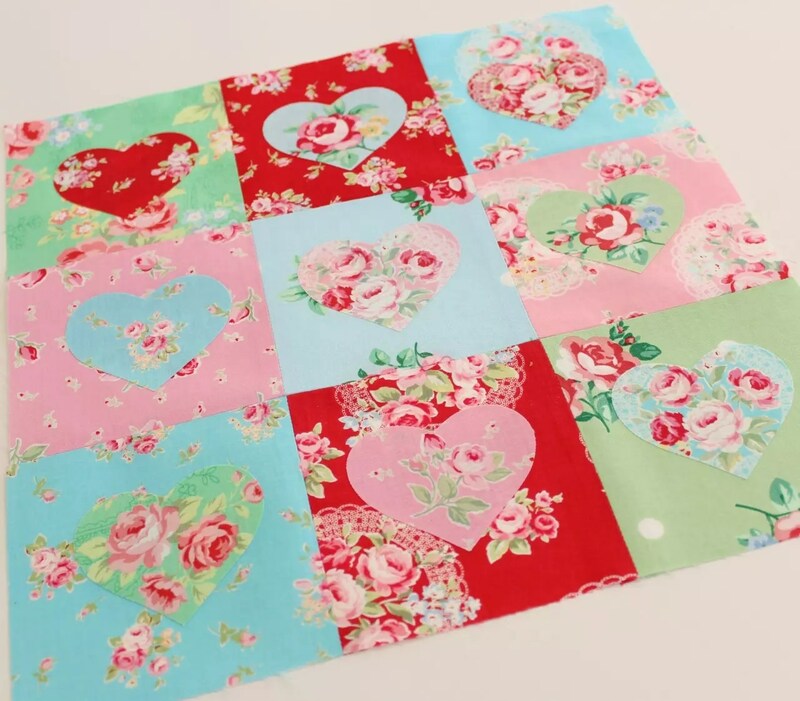 Then cut out nine of the largest hearts using the Hearts Bigz Die (one from each fabric). Alternatively, trace nine heart shapes onto the vliesofix and roughly cut around the outline of each one. 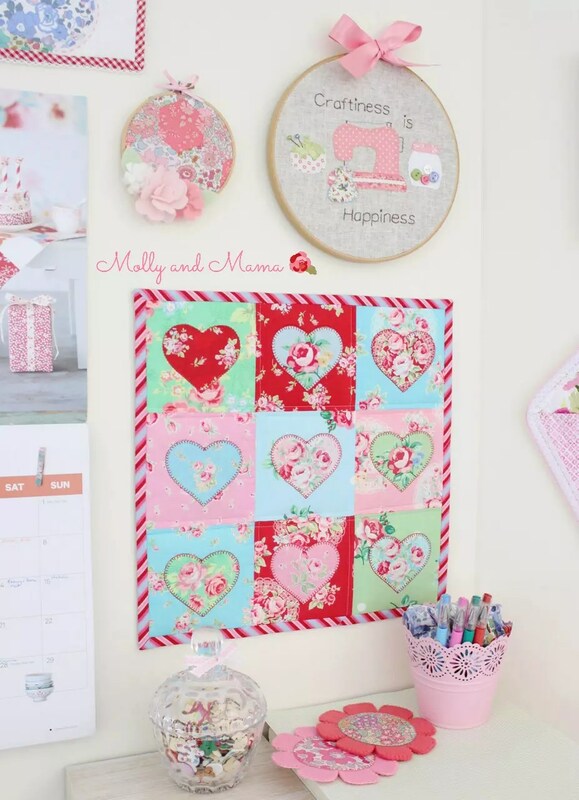 Iron each heart shape onto the wrong side of one of the nine 4″ fabric squares. Cut out each heart on the line. 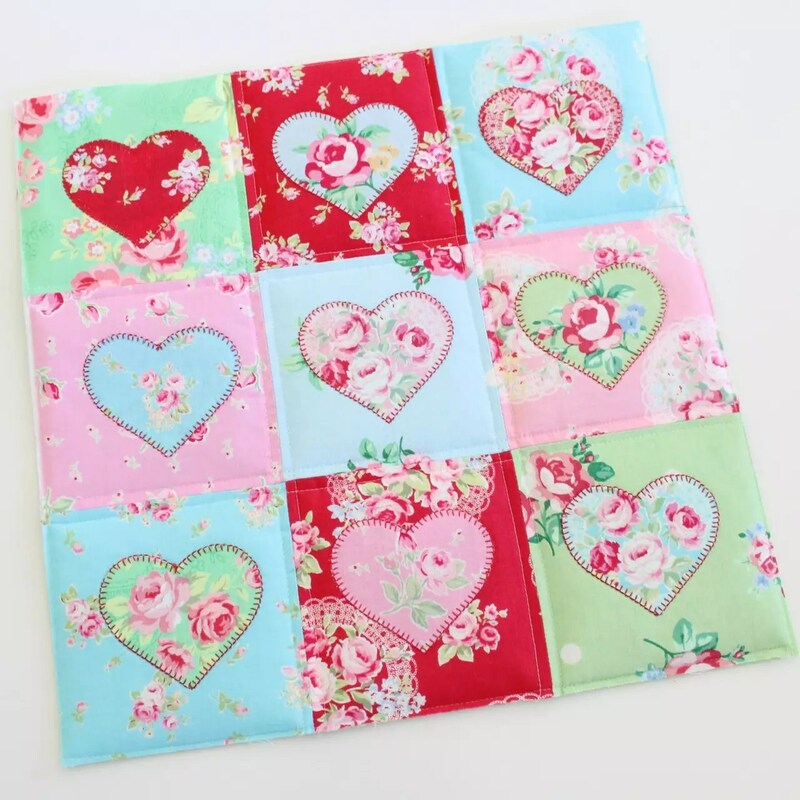 Play around with the lay out of the squares and hearts until you have a combination you are happy with. Photograph the layout to refer to as you sew. Arrange the nine 5″ squares into a block of three rows x three squares. Join the squares along the vertical sides to make three long rows. Press the seams open. Join each row together, being sure to line up the seams. 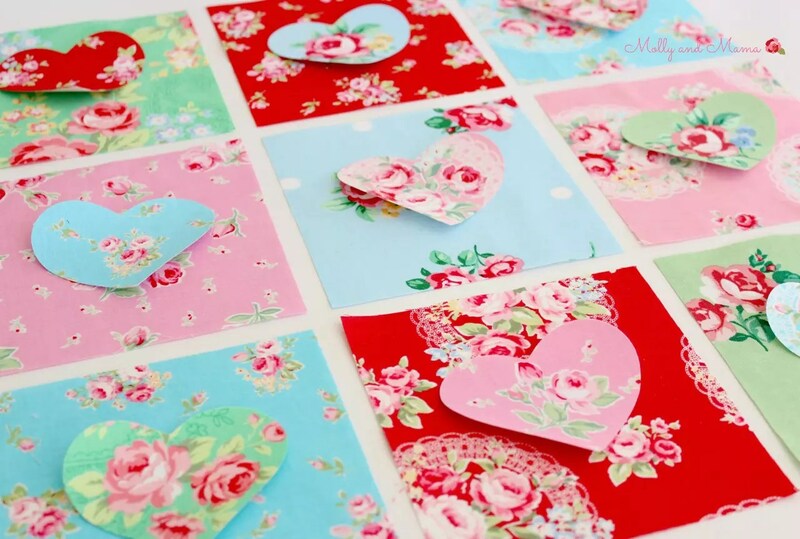 Peel the backing paper off the hearts and centre them on each of the nine squares. Press them in place with a warm iron. Remember to leave a 1/4″ gap around the outside of the quilt edge for the seam allowance. This will change where you position your hearts! Appliqué around the raw edges of each heart. 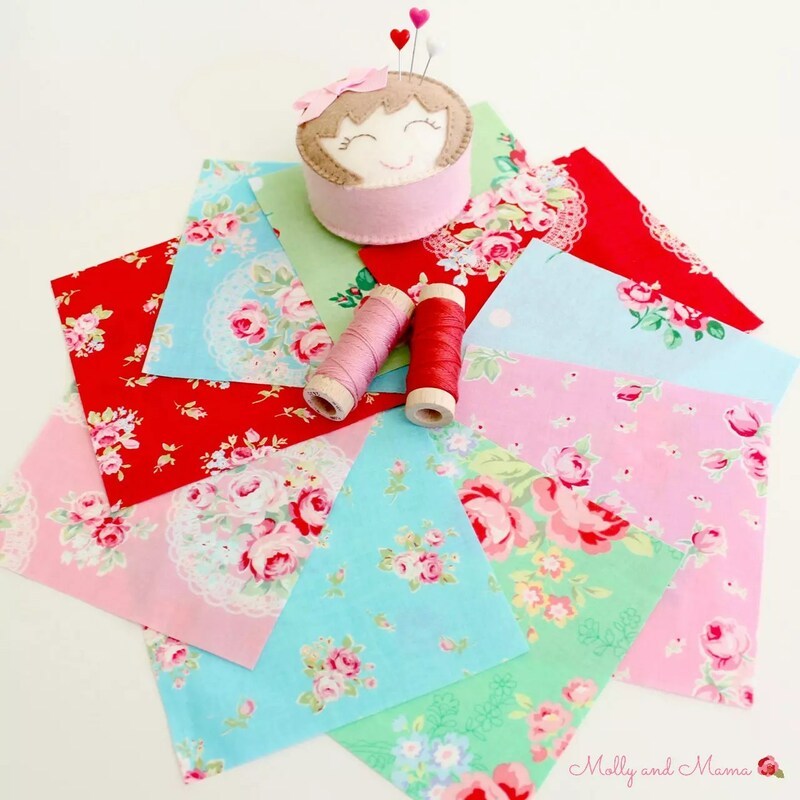 You might like to hand sew them with blanket stitch, or sew them on your machine. 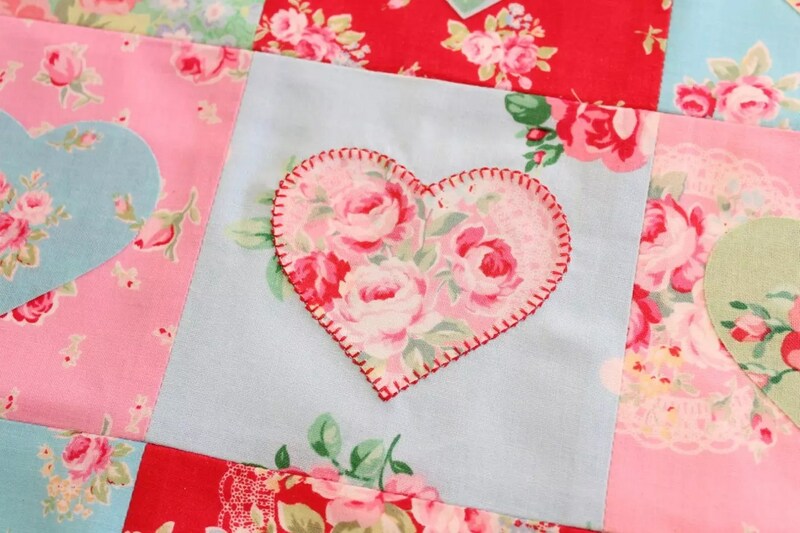 I used a small, tight blanket stitch setting on my machine and stitched the outside edge of all the hearts with red sewing thread. 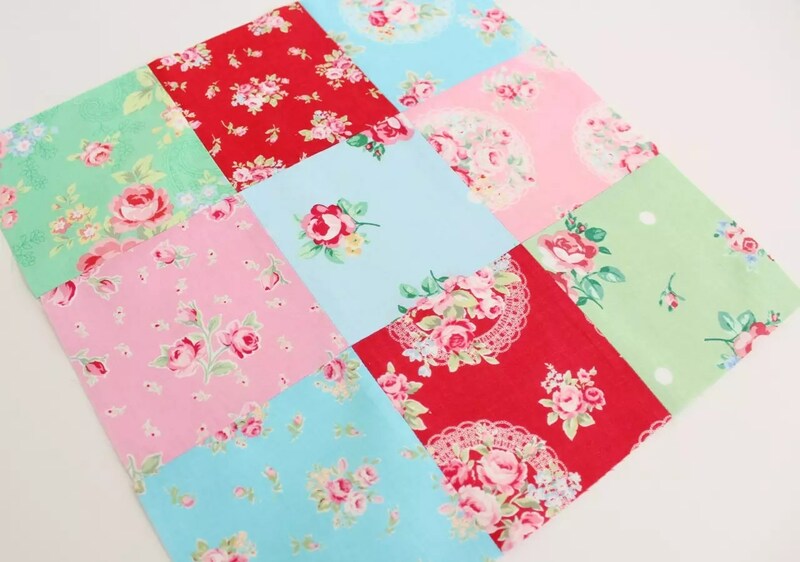 Put your quilt sandwich together by using quilt basting spray to attach the square of quilt wadding to the wrong side of the quilt backing fabric. Then attach the quilt top to the other side of the quilt wadding to create a sandwich. Quilt the sandwich using your desired method. I chose to sew a simple straight line 1/4″ from each side of each seam line. Trim the quilt sandwich down so that it is the same size as the quilt top. Then sew a seam with a scant 1/8″ seam allowance around the outside edge of the quilt. The quilt is ready for binding. Attach the binding to the quilt front using your preferred method, being sure to carefully mitre the corners. Join the binding ends, trim away the excess and stitch the remainder of the binding down on the front. Press the binding towards the back of the quilt. Mitre each corner and pin or clip the binding in place, before stitching it down using a blind hem stitch. Your quilt is complete! How easy was that? I’m sure you’ll use your own ideas and different skills and techniques to really make this adorable mini your own! 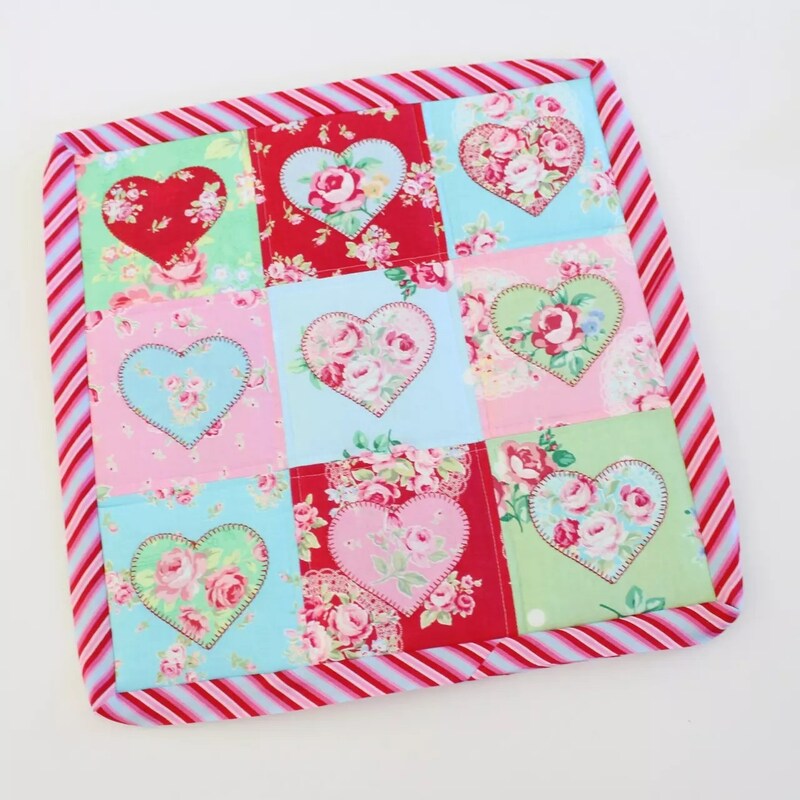 It would make a lovely table topper for a Valentine’s Day party or even a pretty placemat. But I love it best on my studio wall. 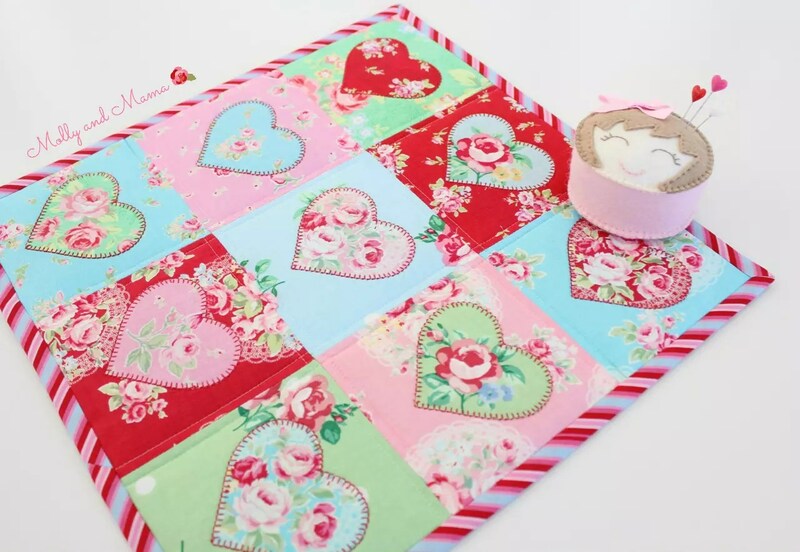 What are you sewing for Valentine’s Day? I’d love to see! Be sure to tag me on Instagram using my handle @mollyandmama or #mollyandmama hashtag, so I can take a peek.